I love this song it's incredible. I've all your songs. Never change, continue singing. 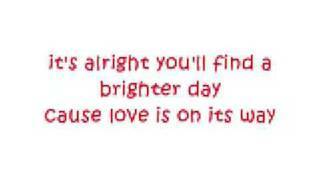 Go on Jonas Brothers, 'Cause love is on its way. i love nick and joesph jonas they are so fine. i really like the way the sing and i really like this song. OMJ!!!! In love with the jonas brothers!! i've been to all their concerts! I love Nick!!! Just friends is mine and nick's song!!!! I love you 4eva nick!